Cronitor is a web-based tracking application that monitors, alerts, and analyzes scheduled computer processes. The application informs its users when their computer processes do not run on time, take too long to run, and gets completed too quickly. 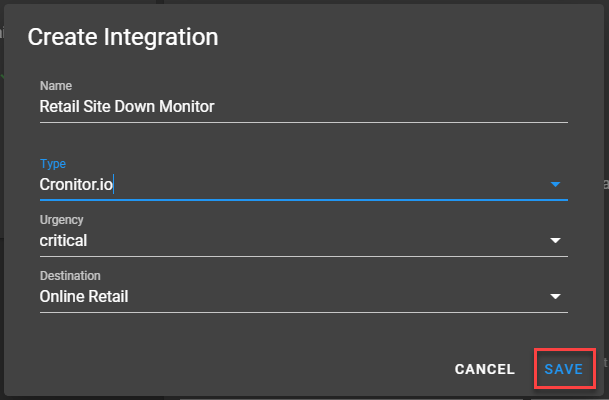 Cronitor triggers user defined alerts when monitors fail. PagerTree acts as the dispatcher for these alerts, determining the right people to notify based on on-call schedules. PagerTree notifies them via email, sms, voice, and/or push notifications until the incident is acknowledged or closed. When a check is failing in Cronitor, an incident is created in PagerTree automatically. When a check comes back to a passing state in Cronitor, the incident is resolved in PagerTree automatically. In this integration tutorial we will show you how to send alerts from Cronitor into PagerTree. The estimated time for this integration is 5 minutes. We assume that you already have a PagerTree and Cronitor account setup. From the dashboard, create a new monitor or edit an existing monitor. 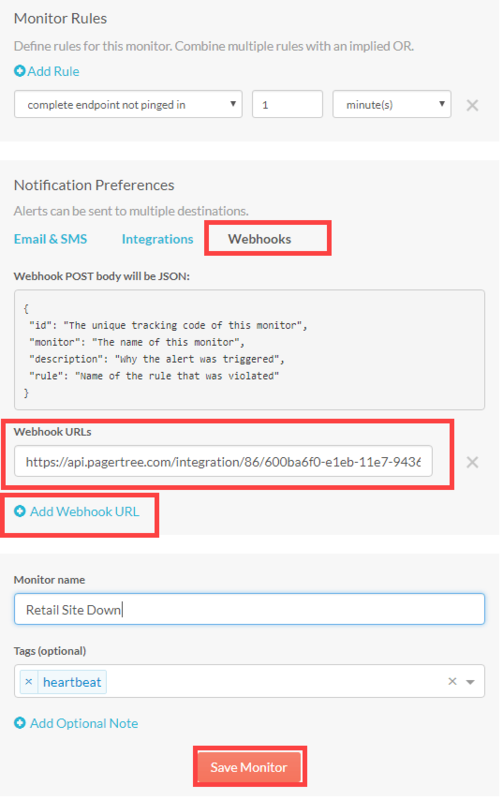 Under the Notification Preferences section, click the Webhooks tab. 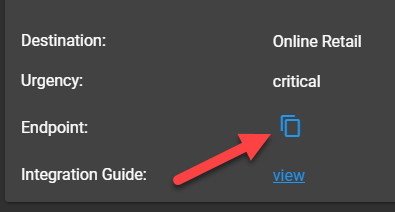 Click the Add Endpoint URL button. Paste the PagerTree Endpoint URL you copied in the field. Click the Save Monitor button.